Some books are great for an afternoon of light entertainment. I can pick these books up, enjoy the antics of fictional people for a couple of hours, and know that when I put the book down, I’ll also set aside the story. A House of Light and Stone by E.J. Runyon was not one of those books. It resists being set down. It has emotional weight. It lingered in my mind long after I stopped reading. This book begs for discussion. In short, A House of Light and Stone would be an amazing selection for a book club. Set in 1965, the story is narrated by ten-year-old Duffy who lives with her four half-brothers, half-sisters, and her single mom. While her two oldest siblings are poised on the edge of emancipation, Duffy is relegated to being the ‘good girl,’ watching her much younger half-brother Chance and generally coping with her mother’s frustration and anger. The book focuses on a time in Duffy’s life when she’s exposed to new opportunities, not only as her family moves to a better part of town, but as Duffy is able to make new friends, take new classes and explore her own talents. Duffy tugged on every one of my heartstrings and twice on those designated ‘mother.’ The brilliance of the book lies in Duffy’s narration; she is smart, sincere, earnest and so darned charming that all the ugliness in her life is made that much more emphatically unsettling. For Duffy, verbal and physical abuse seem normal. Duffy has a healthy sense of self-preservation, but she also has incredible loyalty to her family. Putting herself last, behind her mother and siblings, is a habit reinforced by her mother’s harsh words and Duffy’s life experience. And yet, Duffy has such a unique sense of optimism. She yearns to be a ‘real girl,’ worthy of being noticed, and to that end, strives to be her best possible self. My heart squeezed every time Duffy reflected on whether she was living up to the standards of a real girl, and how tough it was. Of course it’s tough, dear girl, you’re facing more obstacles than any young girl should face! The narration is incomplete, with gaps here and there where Duffy’s own knowledge or comprehension is not one hundred percent. I think that Duffy’s voice is appropriate for a preteen who is self-aware, smart and has had to cope with all that Duffy does. I will come back to A House of Light and Stone, an excellent first read,which will be even better a second or third time, when I can look for all the little clues about the family’s history that I missed the first time around. A House of Light and Stone is so well-written that it’s even a pleasure to read when the story becomes difficult. I strongly recommend this book for anyone who loves unique narrators, emotional stories and/or who loves to discuss books. I guarantee this one will give you lots to talk about over a glass of wine or a cup of coffee! Via Amazon’s Kindle Countdown Deals from March 27 to April 2nd, you can get E.J. 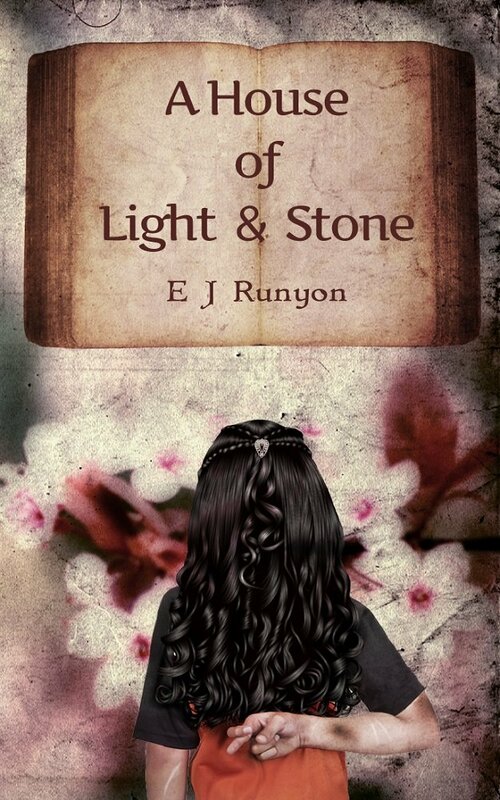 Runyon’s ‘A House of Light & Stone’, or ‘Claiming One’ at the discounted price of $0.99 (or 99 pence in the U.K.).